CAT-A-TAC grew out of a bunch of college friends who formed the band when their musical tastes converged enough to live together and play some moody shoe-gaze indie rock. A combination of stubbornness and enthusiasm lead the band playing from 2004 to 2008. Playing over 200 shows, creating their own record label Needlepoint Records, recording 2 albums, and touring the continental United States. 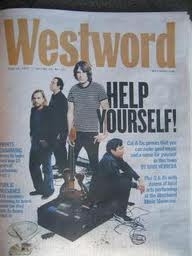 The pinnacle being on the cover of the Westword in June 2007 and playing the first Monolith Festival in 2007.